Addis Abeba, Jan. 05/2017 – The Federal high court 4th Criminal Bench has today begun hearing testimonials from defense witnesses subpoenaed by lawyers representing Yonatan Tesfaye, former spokesman of the opposition Semayawi (Blue) party and rights activists. Yonatan was first arrested in December 2015, barely a month after the first wave of a year-long #Oromoprotests erupted. He was held incommunicado during the pre-trial weeks and was subsequently charged with terrorism. Lawyers representing Yontan have subpoenaed several defense witnesses, including Yonatan’s close friend Ephrem Tayachew, his father Tesfaye Regassa, and his sister Gedamnesh Tesfaye and prominent opposition party members who are also in detention, as well as academicians from the Addis Abeba University. However, the Federal high court 4th criminal bench has failed to hear witness testimonials during the last hearing on Dec. 28th 2016 because four of the five defense witnesses: Dr. Merera Gudina, blogger Befeqadu Hailu, opposition leader Bekele Gerba, and Dr. Dagnachew Assefa, were not able to attend the court. 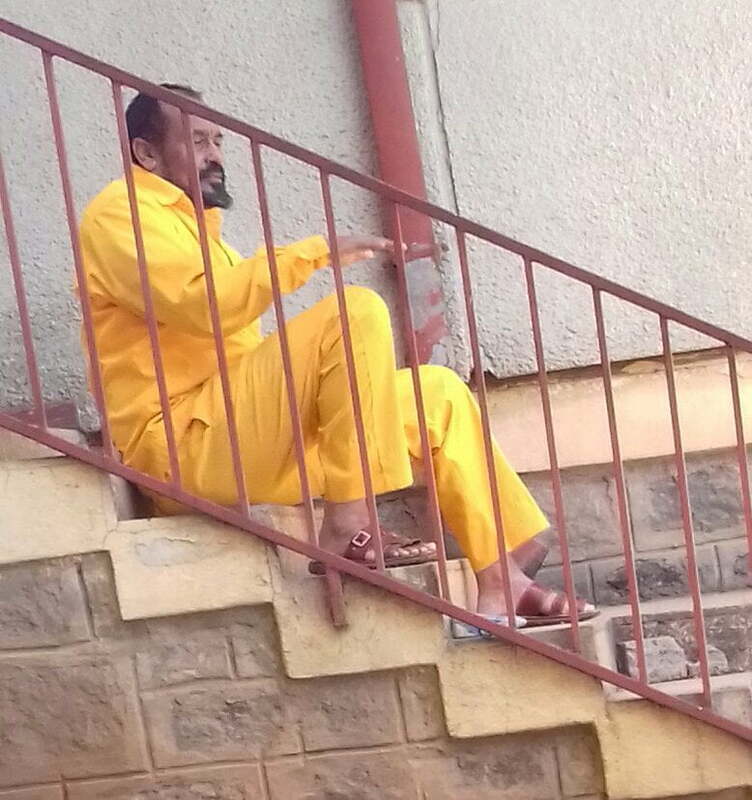 Dr. Merera was touring Europe, the fateful trip that landed him in jail upon his return to Addis Abeba; Befeqadu Hailu was in Awash 7 military training center after being detained under Ethiopia’s current State of Emergency; Bekele Gerba was missing his own appearance in court after the controversial fire that gutted Qilinto prison, where he and other high profile opposition party members are currently detained at; and Dr. Dagnachew Assefa, an outspoken prominent academician, was simply not subpoenaed. Only the fifth witness, journalist Eskindir Nega, currently serving 18 years of prison sentence after being convicted of terrorism, has appeared in the court along with the rest of the witnesses; but Eskindir too told the court that he didn’t know what he was subpoenaed for. The court then adjourned the case until yesterday Jan. 04, but once again the judges failed to preside over defense testimonials mentioning “lack of time” in the midst of crowded hearings of several other terrorism charges. Speaking against the charges, Yonatan told the judges that he had done nothing to foment terrorism or overthrow the government violently. But he spoke and wrote in defense of those who were being killed by government security forces on the streets during the protests, he said. “If speaking for those killed on the streets constitutes a crime, I will take it as my badge of honor. 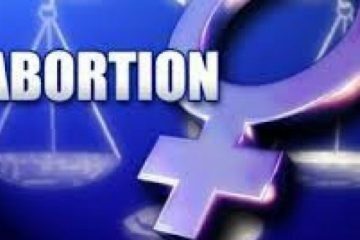 I will get my judgment form history and God.” He also said that the government should have taken the cries of activists such as himself who have been trying to highlight the problems from early on to avoid the subsequent bloodshed during the year-long protests. Hundreds of protesters were killed by security forces during the protests which continued raging long after Yonatan was locked. However, during subsequent hearings, prosecutors have presented as evidence the defendant’s Facebook status updates during the initial months of the #OromoProtests, which eventually rocked the country leading up to the declaration of the current state of emergency. The court found Yonatan guilty and had asked him to defend himself against the charges. The terrorism charges against Yonatan also allege that he was posting inciting messages on his Facebook, encouraging protesters to loot and destruct properties and calling for a regime change through violence. Prosecutor’s also accuse Yonatan that his Facebook posts about the controversial Addis Abeba Master Plan were in line with the objectives of the Oromo Liberation Front (OLF), a party banned as a terrorist organization by the ruling EPRDF’s controlled parliament. 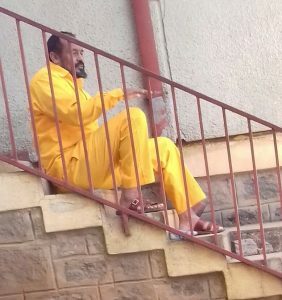 Speaking to the judges this morning, defense witness Dr. Dagnachew Assefa said that he regularly read all Yonatan’s posts on Facebook but doesn’t believe the posts warranty terrorism charges. “If Yonatan was my student I would have, at best, given some of his writings Fs and Cs; I wouldn’t call him a terrorist”, Dr. Dagnachew told the court, adding, he has written for eight years articles that were far more critical of the government than Yonatan’s Facebook posts. The other defense witness, Dr. Yaqob Hailemariam of the AAU, also told the judges that terrorism charges were “too serious” to have been evoked for Facebook posts, where people turn into as a mere space for freedom of expression. The court did not hear testimonials from the rest of defense witnesses, including Dr. Merera Gudina, who is also in jail and may potentially face terrorism charges. Dr. Merera was not brought to the court and the judges have ordered prison police to bring him during the next hearing.